The Medison Accuvix V20 ultrasound is the result of more than a decade of technology advancement in 3D/4D ultrasound imaging at Samsung Medison. Combining state-of-the-art technology with an excellent, user-friendly interface and design, the Accuvix V20 ultrasound aims to increase image quality as well as clinical efficiency. The Accuvix V20 ultrasound’s included technologies make it simpler for users to examine and diagnose volume data with supreme ease, speed, and accuracy. 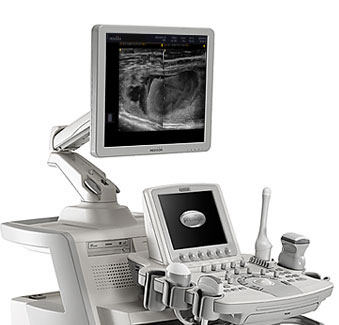 With the 19-inch monitor, 360-degree articulated monitor arm, and ergonomic control panel, the Accuvix V20 ultrasound is also surprisingly comfortable to use, and it is adaptable to a variety of clinical applications.